September | 2015 | Mediascope, Inc. Lately, we’ve been focusing our articles on personalized direct mail pieces (variable data). As great as variable data printing is, it isn’t always the best answer for all situations. Let’s say you are opening a new pizza place and you’re hoping to draw in people from the neighborhood. You could obtain a mailing list with names and addresses, and with that information, you could send out personalized pieces. However, another less expensive option is to saturate the neighborhood using a United States Postal Service (USPS) feature called Every Door Direct Mail (EDDM). 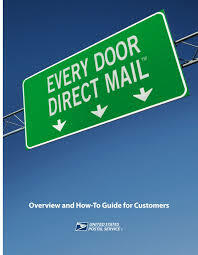 Every Door Direct Mail service is an easy, cost-effective way to reach potential customers near your business. Just create your mail pieces however you like, then work with your printer or mail services provider to select postal routes and pay for postage. The USPS will deliver to every household on your chosen routes and because the piece is automatically delivered to every household in those routes, addressing is not needed. Focus on up to a five-mile radius of your business or search for routes by city and state or ZIP Code. You can use demographic data including age range and average household income and size to choose which routes to include. The Every Door Direct Mail-Retail service is a good option for local businesses sending up to 5,000 mail pieces a day per ZIP Code. For larger mailings, use the Every Door Direct Mail service with a mailing permit. It’s great for announcing store openings, sales, or events. With Every Door Direct Mail service, there’s no need to buy addresses or mailing lists. Instead, you can focus your marketing efforts on targeting potential customers within a specific radius of your business. As always, the quality of the mail piece affects the outcome. Consider using the money saved by not buying a mailing list towards developing a distinctive printed piece advertising a neighborhood pizza party and watch your business grow. Over the last several weeks, we have talked about Variable Data Printing (VDP). We have looked at list usage, types of VDP, and how VDP impacts marketing. Now it is time to wrap it all up and examine the benefits of VDP. In short, VDP allows you to customize and personalize your direct mail marketing campaigns. Using VDP means you can create more attention-grabbing direct mail pieces that appeal to your target market. Here are some benefits to using variable data printing with your direct mail marketing campaign. By adjusting the content (images and/or text) on your direct mail pieces based on the recipients’ interests, location, family status, or any other piece of information you have on your audience, means your direct mail piece will be more appealing and relevant to the recipient. According to PODi and DMA data, the response rate of non-personalized mail pieces is 2%, and a personalized piece has a response rate of 6%—that’s a 300% increase. Personalize the pieces in your mailing with information pertinent to the recipient such as the address and business hours of the store or person closest to them and you will reduce the number of phone calls asking for this information. Likewise, add mapping and get clients directly to your event or store. Or, depending on the marketing campaign, change phone numbers so recipients can contact the correct people within the company. 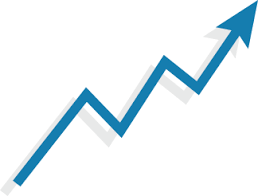 There is no denying the overwhelming growth of online marketing. However, the fundamentals of a successful campaign remain the same—successful campaigns are both strategic and tactical. And to that end, a campaign that includes both online and print components will achieve maximum effectiveness. By using VDP, print does the same thing—with better results. Unlike online marketing, a flyer, postcard or letter is tangible and can be kept. What this means is an audience is more likely to spend some time looking at the information you send, be engaged, and respond to the call to action. And, importantly, once engaged, they will hop over to the digital platform for more information or to place an order. It’s a multi-channel experience. Finally, one of the greatest advantages of using variable data printing is the opportunity to track response rates more efficiently. VDP allows for unique barcodes and coupon identification numbers to be placed on communication pieces which provides marketers with an easier and more efficient way of tracking your results. To recap, audiences are becoming more adept at tuning out boring, old traditional marketing campaigns. In fact, 74 percent of consumers get frustrated and turn elsewhere when marketing content has nothing to do with their interests. By personalizing your material to your target audience, you can increase customer engagement and response rates and, ultimately, your ROI. 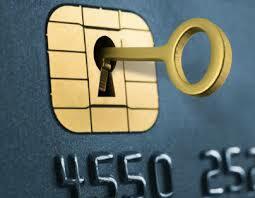 The marketing opportunities presented by variable data printing are enormous. By personalizing communications, marketing is tailored to appeal to the interests of individuals rather than broad segments of people. The concept of one-to-one marketing fine-tunes target marketing to the level of the individual. One-to-one marketing is the practice of communicating directly to each customer. This communication can take place via direct mail, phone calls, or e-mail sent over the internet, but is not limited to those methods. Terms such as “direct marketing” and “relationship marketing” can be interchanged with one-to-one marketing when the emphasis is on reaching individuals. Relationship marketing has the added dimension of maintaining contact over a period of time to build a rapport with the individual customer, as opposed to making a one-time contact. All forms of one-to-one marketing require information about the customer and can involve gathering more information about the customer after the initial contact. This knowledge of the customer and the customer’s interests is necessary to create the personalized communication that establishes a one-to-one relationship. 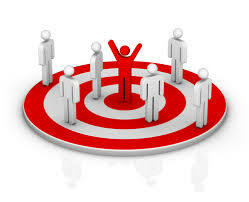 The advertiser must target customers that would be interested in the advertised product, and then personalize the promotion in ways that are attractive to those customers. Personalization has been around for a very long time and has usually been associated with costly customization, such as custom-built automobiles. It has been popular because it works. Consumers want to be recognized as individuals and addressed in a personalized way. Today, even though customers might recognize that the information about them came from a database, they appreciate the extra effort that marketers have taken to get to know them and to communicate on their terms. To varying degrees, consumers are aware that data about their activities, particularly financial transactions, are continually being gathered and shared with marketers. Sometimes, consumers deliberately share this information, as when they answer questions on a marketing survey, or when they request, or “pull,” product information. (See last week’s blog on using variable data in push and pull marketing.) At other times, records of their activities are gathered automatically in the course of their transactions. The marketer must maintain a delicate balance between collecting information and maintaining the consumer’s trust that the information will be used for the consumer’s benefit. They can do so by using the information they have assembled to add value to the consumer’s activities on the consumer’s terms. Through credit-card receipts, for example, a financial services company might learn that a customer has children and shops regularly at a particular children’s clothing store. The company could use that information to build customer satisfaction and loyalty by offering money-saving discounts for children’s clothing and toys. This use of the customer’s data benefits the customer. An inappropriate use of the data would challenge the relationship and risk turning the customer away. Compared to mass marketing, or “one-to-many,” one-to-one marketing can at first appear to be more expensive. Historically, the cost of a marketing campaign was based largely on the cost of delivery, in which case economies of scale in print production argued for the use of only one message broadcast to everyone. In one-to-one marketing, the effectiveness of communications plays a bigger part in the equation. Research has established that personalized communication increases response rates and spending by the target customer. One-to-one communications spur relationships that result in repeat sales and customer loyalty. Generally speaking, increasing the volume of messages reduces the cost of printing but decreases the effectiveness of the communication. The quality of the response from customers therefore can raise the return on investment in a one-to-one marketing campaign above that of mass marketing. With effectiveness as the goal, the focus of communication planning needs to shift from reducing costs to that of delivering greater value. Consumers are expecting that vendors acknowledge their personal interests and preferences. In effect, by personalizing communications, marketers give consumers what they want. Marketers do not make the rules any more—consumers do. Smart marketers understand the value of personalized communication. Savvy marketers also realize that the cost of producing those communications is quickly shrinking thanks to technology such as variable data printing. Adopters of variable data printing have taken the risk, confident that they will gain a competitive advantage. They hope their competitors are watching them… from behind.